How we teach and integrate our ESL students impacts each and every one of our Fyling Hall pupils. Whilst learning in a new country is an exciting prospect, it can also be a little daunting. Pupils must not only learn in a different language, but must quickly adapt to a new culture. 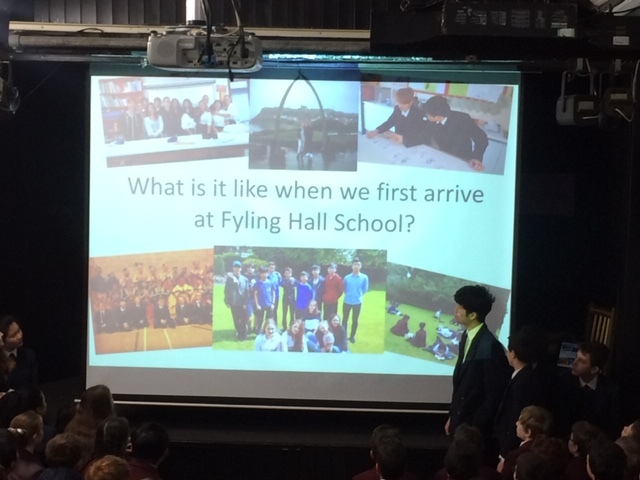 To help native English speakers understand their experience, our ELS students recently led an assembly. It was a great team effort . . . a special mention to Anisia in Y10 for putting this video together! © Fyling Hall School 2019 – All Rights Reserved.